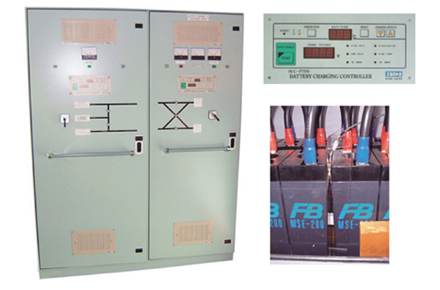 Sanko Electric is a marine panel manufacturer with an over 65% share of the marine distribution board market. We utilize the latest IT technology to create high-precision products for automation, control, operation (touch panels) and similar functions. By utilizing our technical know-how accumulated over our long history, we can provide distribution boards at low costs and in short turnaround times. Within the industry, we have maintained the top position in units manufactured. Provides fully automated operation with a single button touch from the wheelhouse, and control is configured as a high reliability computer system. Select the battery charging method and time (touch panel) to perform completely automated charging by computer (operation always automatically returns to floating charge). 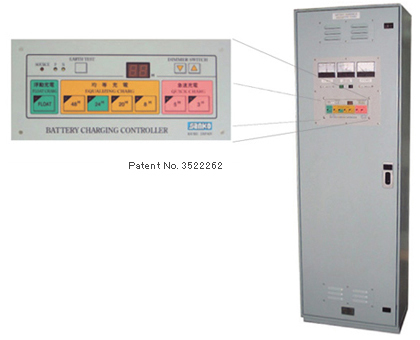 Constant safe usage is ensured by metering of storage battery temperature and outputting automatic charging voltage so that internal pressure of the storage battery never rises. 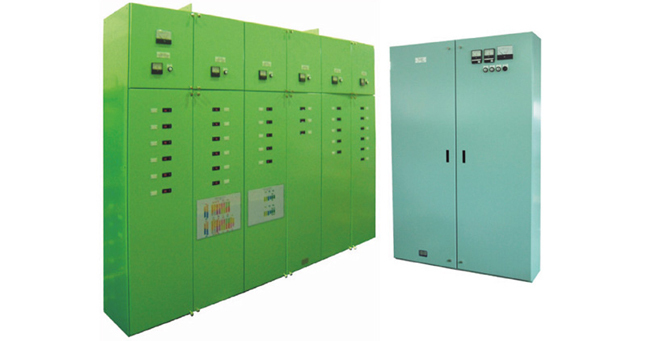 Additionally, Sanko Electric developed the industry's first charge and discharge panel capable of controlling temperature in the range of -50°C to 0 to 50°C. These system console products utilize cutting edge IT technology to provide centralized control of navigation functions and conditions to create truly comfortable operating spaces. Ship has been registered for location of NK (BRSI) ship bridge, operating environment and ship accident prevention system. Handling the ship while navigating is easy as the operator merely has to reach out to use the phone, control the steering wheel or operate the dimmer. The layout and design of engineering equipment has been configured in a streamlined manner in order to enable working with the minimal amount of personnel. Provides labor-saving loading and unloading work! Console equipped with electronic control monitoring system. Copyright (c) SANKO ELECTRIC All rights reserved.